When I decided to give up coffee recently, I believe I was able to stop drinking it quite easily because I had the 3 things from my previous post on how to replace coffee with healthier alternatives in place. Firstly, I knew I’d been addicted to coffee for many years and admitted that to myself. To my mind any addiction is a problem because you don’t have control of it — it has control of you. Once you understand how caffeine addiction works you can start to do something positive about it. Secondly, I had the motivation and momentum for giving up coffee after researching all the ways coffee and the caffeine in it can damage your digestion and health in general. Finally and fortunately, I already had these 2 best remedies for caffeine withdrawal ready to use before I began. If you haven’t already I’d really recommend reading that page and the ones above on how to replace coffee to get the most out of this coffee replacement plan. With those 3 things in place, I was able to begin to give up coffee that morning with minimal caffeine withdrawal symptoms (I remember not feeling so great that first afternoon, but it was nothing compared to what some people report). If you are low-level coffee drinker, say one every second or third day but not every day at the same time, you may be able to replace coffee ‘cold turkey’ with peppermint tea, teeccino or another coffee alternative you enjoy. For most people though, this coffee replacement plan ahead, using the recommended caffeine withdrawal remedies, will make things much easier, help greatly minimize withdrawal symptoms and give you the best possible chance at giving up coffee with a minimum of fuss. Here’s the 10 steps I used when giving up coffee that seemed to really minimize caffeine withdrawal symptoms and make the whole process quite easy to follow. The most important principles are to preempt the desire for coffee and replace it with your healthy alternative while supporting your body as it’s coming off caffeine. Step 1: Choose in advance when you are going to stop drinking coffee and stick to it. Ideally start on the weekend or another time when you have two days away from work or other situations where you may be under more stress or on automatic pilot. More important than this though is setting a date and making a firm decision that it’s definitely the day to start coffee replacement. Step 2: Early in the morning, before you shower and definitely before you usually have a coffee, have one of the red ginseng tinctures. The one I used was this extra strength version and I found it particularly good for giving up coffee. Step 3: Directly after showering, spray and rub in some magnesium oil. Your legs are a good place to start to check sensitivity. If it feels ok then your back, belly and inner arms are even better for absorption and rubbing the oil in there will help to prevent caffeine withdrawal headaches. It may sting a little at first (avoid sensitive areas) but it’s well worth it to get in your relaxing magnesium. This sensation diminishes as you use it over time. I rarely get any stinging these days. Step 4: If you previously drank coffee with your breakfast, try having an energizing ginger tea, or something that tastes like coffee but is actually good for you instead at the same time. There are several other healthier coffee alternatives here. Step 5: Have an extra healthy breakfast, especially for the first few days of caffeine withdrawal. Fruit can be a great start the day. Apples in particular are both energizing and filling. Berries like organic blueberries, strawberries and raspberries taste amazing and are full of health enhancing antioxidants. Avocados are another great breakfast food that will really fill you up and with their healthy thermogenic fats can actually help you lose weight. Step 6: Have another red ginseng tincture before lunch. Most people find ginseng energizing and this can help replace the usual jolt of caffeine while improving detox while coming off coffee. If you are feeling a little rough remember to take it easy on yourself today. Step 7: Match where you’d usually drink coffee with your replacement teeccino, herbal tea or green tea. Try and preempt it by having one a little before you would normally ‘feel like it’. Importantly though, don’t start creating a new habit of drinking excessively more than you normally would. This is particularly relevant with teeccino since it’s so similar to the taste of coffee, and green tea since it still has some caffeine, even if at significantly lower levels. Eight cups of green tea when you used to drink two cups of coffee is not helpful. Think in advance where and when you previously drank coffee during the day and plan to have a cup of your alternative a little before if possible. If you started with teeccino or green tea, perhaps your second cup could be a good time to try refreshing peppermint or another herbal tea. The first day might be a bit early for this for previously heavy coffee drinkers, but try to work towards it after a couple of days. 8. Have plenty of water between and especially just before meals. Water is really important for flushing out toxins and preventing brain fog and caffeine withdrawal headaches. Get a big glass and keep it beside you, filling it up regularly. Step 9: Eat as healthy as you can for today and the next few days of giving up coffee and caffeine withdrawal. Coffee and the caffeine in it may have inhibited the absorption of a lot of health nutrients, minerals in particular, and your body will probably be crying out for them. Lots of vegetables, fruits, leafy greens, high-quality protein and healthy fats are the order of the day. Eating like this has an energy all of its own and you’ll feel much better for it. Step 10: Over the next few days, reduce any coffee substitutes with caffeine, such as green tea or the teeccino/coffee mix described below, down further each day. The aim is to have no caffeine in your replacement drinks or in anything else you’re drinking or eating. Importantly, this includes colas loaded with caffeine, acids and an incredible amount of flatulence causing sugar; those horribly jittery ‘energy drinks’ (anxiety drinks would be a better term); coffee flavored foods (check the labels for caffeine); and surprisingly, caffeine containing headache and pain relief tablets (many have caffeine as an ingredient so once again check the label). You need a week minimum of freedom from caffeine in all its forms to start breaking the addiction. If you use green tea as your coffee replacement initially, reduce it down after a day or two and replace it with peppermint or ginger tea for at least a week. Alternatively, use a decaffeinated green tea. For the teeccino and coffee mix explained ahead, set a date and reduce it down to no coffee, only teeccino in the cup. At the end of that day, throw out or give away any remaining coffee in your house. This is an important step whatever coffee replacement you’re using. If you’re using the teeccino and coffee this coffee removal may be a few days or a week later. However, if you’re using herbal or green teas for replacement it’s best to get any coffee out of the house as soon as possible to avoid temptation. You’ve gone through this once, achieved what you set out to do, now it’s best to throw out the coffee and not look back. Heavy coffee drinkers often need a little extra help giving up caffeine rather than just quitting cold turkey. With that in mind here’s an extra step to make quitting coffee as simple as possible and minimize headaches and other withdrawal symptoms. It’s a special slow reduction trick you can do with teeccino that makes it especially good for previously heavy users to use as their replacement drink. Here’s how it works. For the first day of coffee replacement you make up your teeccino with half regular coffee. So however many scoops of coffee you to used to use, make half of that teeccino (you can use it just the same as normal coffee grounds). On the following day reduce the amount further, say two fifths coffee and three fifths teeccino and so on, reducing a bit more each day. This may take a couple of days for light to moderate coffee users, or a week or more for heavy users. Regardless of how many days it takes, the end result is making up your cup of teeccino caffeine free, with no coffee in it at all. This slow reduction method can really help minimize caffeine withdrawal symptoms while you replace coffee. It also accustomizes you to the taste of whichever teeccino flavor you’re using while maintaining the same drinking ritual. 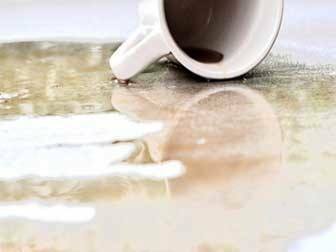 The day you reach your no caffeine cup with this method is a good day to celebrate by throwing out or giving away the last of the coffee in your house. Once you’ve given up coffee and replaced it with something better, you’ll be likely to find your health and sense of wellbeing improving and your day to day energy becoming calmer and more stable. Feeling like this, most people would be unlikely to want to go back to the constant tension of a caffeine addiction ever again. I personally have no intention of doing so. Next is a look at another big source of caffeine in many people’s diets and an even more destructive one in terms of their health and wellbeing – caffeinated sodas like cola and how it damages your digestive system. Hi Lois and thanks for your comments. This article has why coffee causes digestion problems for some people https://flatulencecures.com/coffee-digestion and the steps in this article really help when you’re ready to give up coffee. For a long time I’ve had digestive problems that have really affected my personal life, especially with intimacy. Throughout this time, I’ve also been dependant on coffee and other caffeine sources to get through the day and boost workouts. I stopped being ignorant, and when the new year hit, I decided enough was enough and quit caffeine. Your site gave me the motivation to do so. Hi Jesse and thanks for your positive comments. 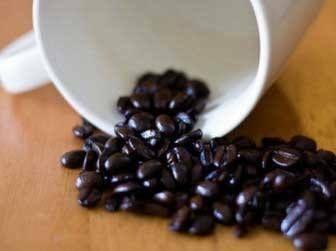 I hope it goes well for you and remember to find good alternatives like these https://flatulencecures.com/replace-coffee as replacing the old habit with a new one is mucb more effective. Thanks for the info, I want to try and stop drinking coffee, as it has begun to cause incredible issues with my stomach and appetite. These tips are very helpful. I have tried repeatedly to give up caffeine, both the reduction method and cold turkey, I am now on day 4 of cold turkey, JESUS CHRIST!!!!!!! Thank you for your blog, it gives me the strength to carry on, blood and guts. I have been in pain all over (I suffer from chronic Lyme too) headaches are not too bad but I can’t stop sleeping. I’m hitting the adaptagins and detoxing for England. I am also hungry all the time, is this normal, I do not eat sugars and have a very clean diet, being Celelac (thank’s to Lyme) and allergic to milk and dairy. Looking forward to being caffeine free, hoping for some energy. I really hope the method works for you and the ginseng is helping to alleviate withdrawal symptoms. Generally every day is better than the one before in situations like this. The key is to find a replacement you enjoy and allow yourself to have it whenever you like. If you’re hungry I’d trust your body and have more healthy fats like avocado, nuts and seeds. These will keep your blood sugar stable and can help with headaches and stabilizing energy as well. Thanks for your positive comments Michael. Hello. After drinking cola on a daily basis for over 30 years, and now having been diagnosed with 5 digestive disorders I am finally ready to quit!! Could you advise me what brand of red ginseng tincture tablets to buy as well as for the chromium and cinnamon. Also, a few reputable places to order from would be helpful. As I am on a limited income if these prove to be priced too high for my budget would it be ok to use a cheaper brand? Thank you kindly. Using these with the 10 step plan described here https://flatulencecures.com/quit-soda should really help you beat the cola addiction and give your body a chance to start healing your digestive disorders. after many times of quitting coffeee, I think I’ll attempt again maybe for good this time, I’m having too many gastro issues again, I’m going to go on a strict diet and coffee seems to not be helping anyways. I will look for the supplements you recommended- thanks again! Thanks Miriam. I hope it goes well for you. This is the second time I have stopped drinking coffee. The first time two years ago was when I was drinking coffee all day long. The detox process took about a month, the first week being the worst. I started drinking coffee again socially and limited myself to two cups a day.. and even that I have to say is too much..it still caused heartburn for me, so I decided to stop it again. I stopped again, not cold turkey like the last time, but slowly decreased myself to half a cup a day and then nothing. The first day of no coffee, yesterday .. severe migraine by 2 pm till about 6 pm to the point that I vomited. But, after that I felt much better. Second day now only the whispers of a headache.. But hopefully nothing like yesterday. I started drinking coffee at age 15 over 50 years ago. Then one day I noticed my teeth were really ugly yellow and I had my teeth whitened at a dentist who used a light to whiten the teeth. They looked beautiful. But after two days of no coffee I got such a horrible headache that I stayed home from work two days. Then I started taking No-Doz to replace the caffeine and the headache was gone. When the NoDoz was hard to find I started taking green tea capsules two a day. Lured by the coffee ads, I started drinking a cup a day and I have finally decided that coffee is out of my life cause my stomach lining can’t take it and I’m getting my teeth whitened again next week. If you watch TV news shows interviews you will notice some people have yellow teeth and some nice white teeth. I want to be strong and look pretty with white teeth. The stomach aches occur even when I eat fresh vegetables so I googled this info and learned a lot! Thank you so very much! I am going to try to find magnesium oil. I have given up coffee for a variety of reasons however I am finding I am now getting acid reflux which I never had when I was drinking coffee. I am guessing that it is because I have been producing too much acid prior and now that I have given up my stomach is still producing too much acid. Have you ever come across this??? Generally most people experience the opposite but this may be a temporary adjustment. You could try a teaspoon of baking soda in water or ginger tea as a remedy until it settles down. I am moving towards giving up coffee for many of the digestive reasons you list. However, before I was a coffee addict I drank tea for over two decades without any issues. In fact black or green tea help give me a calm stomach and actually soothe it. Unlike coffee, tea has attributes in it that help to calm to the body. Almost a yin and yang situation in regards to it and the caffeine in it. That said, if you want to reduce the caffeine in tea presoak the leaves for 30 seconds and then diffuse a second cup in the same leaves. Asbury College tested this method and found the caffeine would drop by 35%. Also, keep in mind that the body can metabolize small amounts of caffeine without any side effects. Not to mention many medications have caffeine in it. My point here is that moderation is key. That said, I have drank coffee for the last 20 years. There is no moderation there. You have copious amounts of caffeine in a single cup, and you have the acid. While it does have many anti-oxidants etc. the price you pay is way too high. Hi Gary and thanks for your helpful comments. I agree with all of these and myself enjoy green tea with it l-theanine from time to time. Most people will handle the caffeine in it far better than in coffee. Would green coffee beans etract have the same negative effects? There isn’t the same level of research on taking green coffee bean extract, though it’s likely the same alkaloids would have an effect depending on the dose. I’ve quit using this advice before and it really does work. I relapsed… winter in the Pacific NW can be brutal all it took was the first sip to start me back down the road to caffeine addiction… not sure why I did it. It’s causing weight loss issues, anxiety, poor sleep quality, etc. I’m buying everything I need today and starting the process over starting tomorrow. Wish me luck! I appreciate hearing this method for quitting coffee worked for you and if you’ve done it once before I’m sure it will be easier this time. A good read and informative article. I have always had issues with my stomach and intestines since i was a young teenager from drinking coffee, i am now an adult. I switched to Tea a few years ago and i never regret doing so. My overall health has improved greatly as well as the numerous issues i have/had with my GI-Tract is almost non existent. What made me do the change, was i was visiting my parents one evening and we started talking about coffee and the effects of coffee at the dinner table where my mother started talking about a man she knew from the village that she had met while grocery shopping which had said to her, that he recently returned from the hospital after a 2 week stay. He had burned holes in his stomach and the stomach acid was leaking out and harming other organs. Naturally my mother was shocked and asked how this could have happened, and it turned out that the man had been drinking more or less 15 mugs of coffee per day. The doctors had told him that he had been producing so much acid that his natural stomach acid had reached dangerously high toxic levels, he might as well have been drinking battery acid. The doctors had told him that it would take anywhere between 6 months to one year to fully recover. After hearing about this, i said to myself that even though i love the smell & taste from coffee it is not worth playing with my health since i have always have had trouble with it. So i made the decision and switched to Tea and never looked back. That is my little coffee story that i thought id share. Thank you so much for this article. I’ve been so ill for so long and have tried everything to get well. Something clicked in my head a week ago which led me to your article – synchronicity indeed!! I’m extremely sensitive to many products for some reason to the point where my GP jokingly commented that I was allergic to the 21st century!! After reading your explanations of how coffee affects the system I immediately cut down from two cups of the super strong coffee I normally have first thing in waking to a herbal one. Straightaway I went from suffering from terrible diorrhea to being constipated – this told me I was on the right track. It also means I can start taking vitamin c again (something I need to help control my asthma, but which is not been able to take due to the constant diorrhea). I intend to stop all intake of coffee now and if it hadn’t been for your article I would never have understood or made the connections. So again, a HUGE thank you!! Hello, I notice in all these articles no information regarding just swapping to decaf coffee. Is this not also a good alternative? Thanks for relating that Tom. 15 cups of coffee a day is an insane amount and almost certain to cause digestive problems. Glad switching to tea has been beneficial for you. Hi Julie and thank you for your positive comments. I’m really glad the article helped and that cutting out coffee has been beneficial. The good news is after a short while you won’t miss it and will feel not only healthier but more relaxed. Hello. You are spot on with giving up coffee. I suffered for years with burning, bloated, sick to my stomach feeling,losing sleep every night and have taken every medication (Nexium, Prilosec, Protonix, probiotics, Tums, gas relievers, Esophageal Motility with Impedance study, Colonoscopy especially endoscope, etc) with absolutely no relief. Then… DING DING DING… I stopped coffee and my problem disappeared almost immediately. I just can’t believe it. Coffee. Who would have thunk? Great tips! There are so many reasons for people to cut back. Coffee consumption is such a tricky thing to balance between benefiting from the antioxidants in coffee to not becoming too addicted or to not getting too much caffeine.